Well complexity and the amounts of drilling data have increased substantially in the last decade, leading to a shortage of drilling specialists. Embedding Real-Time Operations Centers (RTOCs) and their practices into the corporate structure of NOCs brings cost-effectiveness to your well by providing a team to complement the otherwise isolated workflows. Petrolink's real-time engineering methodology empowers you to prevent and control future drilling events allowing a proficient method to optimize drilling with a shared view interface across your entire organization. 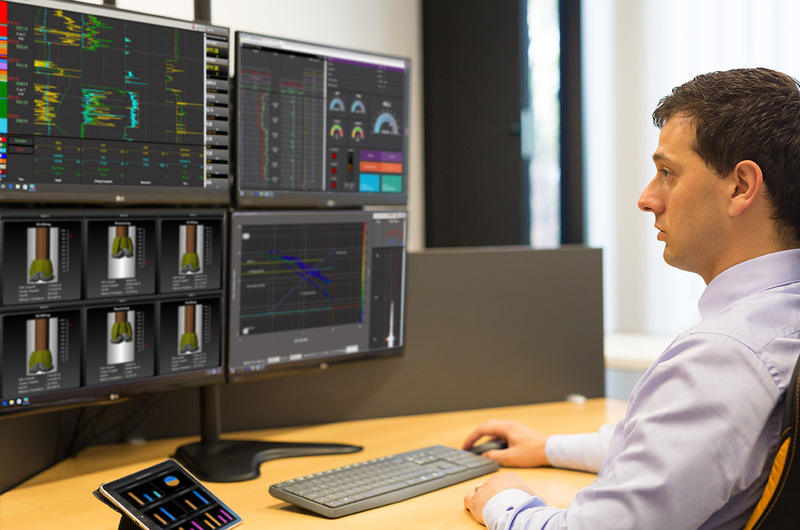 The PetroNOC solution uses real-time monitoring of drilling operations to provide timely support and recommendations that can prevent or diminish undesirable situations. We evaluate drilling performance, and then we collaborate with you to develop new procedures to reduce costs and increase the efficiency of the drilling process. Our real-time monitoring service allows our customers to assess and evaluate multiple operations from a single location, reducing the costs associated with staffing and risk exposure. In a world where geological complexity and the volume of data available from a drilling operation are increasing, Petrolink's real-time operations centers and monitoring solutions provide unsurpassable mechanism to evaluate multiple drilling operations from a single location by applying proven field experience, reliable knowledge and well established procedures. Identification of trends that may result in deviation from the drilling program. Real-time monitoring and timely evaluation of all drilling operations, even those performed by contractors for national and/or international operators. Maximization of engineering staff effectiveness by monitoring multiple operations from a single location. Reduction of the time between the occurrence of an undesirable event and the implementation of mitigating actions. Real-time monitoring and analysis of surface instrumentation parameters: pump pressure, ROP, mud volumes, hook load, WOB, torque, and densities, among others. Real-time monitoring and analysis of downhole tool parameters: pressures while drilling underbalanced or balanced (MPD), bottom hole pressure and temperature. Generation of alerts to maintain real-time control over operations during the drilling process.